Is your style written in the stars? Who else has noticed a series of celestial occurrences lately? The recent solar eclipse, mercury in retrograde (September 5th can’t come soon enough! ), and an astronomical amount of trendy star and moon motifs on apparel and accessories, I’m feeling the galactic force is in full effect. With all of this celestial energy, I thought it would be fun to see how zodiac signs play a role in our design decisions and personal style. Read on for my professional recommendations about what one essential item you should have in your closet based on your zodiac traits. And, if you haven’t yet taken the CLOSETPHILE Quiz, that will also help you better understand the connection between your pesonality and your closet. You appreciate functionality and a defined system, so ensuring your spaces are well-organized is essential to you. *Closet necessity: Clothing filers are going to change your life. Use these to fold clothes neatly and retrieve items effortlessly. Bonus: they make your drawers look super organized! You design interior spaces for comfort first and foremost. You also like using natural materials that bring the outside in to create a relaxing and inviting atmosphere. *Closet necessity: Bring in a living orchid, house plant or succulents to give your closet a sophisticated sense of nature. As a social butterfly, you want your closet to be a gathering place where you can hang with your besties and prep for a fun night out. *Closet necessity: If you have the space and are willing to splurge a little, I recommend a mini-fridge stocked with bubbly so you’re ready to entertain your friends at the drop of a hat (or, when mercury is in retrograde and everything feels askew!). You’re a homebody so you want your dwelling to feel like a cozy retreat that centers on family and the things you hold closest to your heart. *Closet necessity: Decorate a wall with framed photos of your close family and friends. Don’t have a ton of space? Put picture frames with photos of your loved one on a counter or shelf near your closet. Leos. Love. Luxury. You appreciate exclusive brands and elevated style, often achieved through ornate accents and accessories. *Closet necessity: Add a lavish accent like a gold frame mirror or invest in a Hermés Kelly Purse Shaper Pillow (or, if you’re not Kris Jenner and still working on your Hermés collection, purse pillows will help keep the structure in your designer bags). 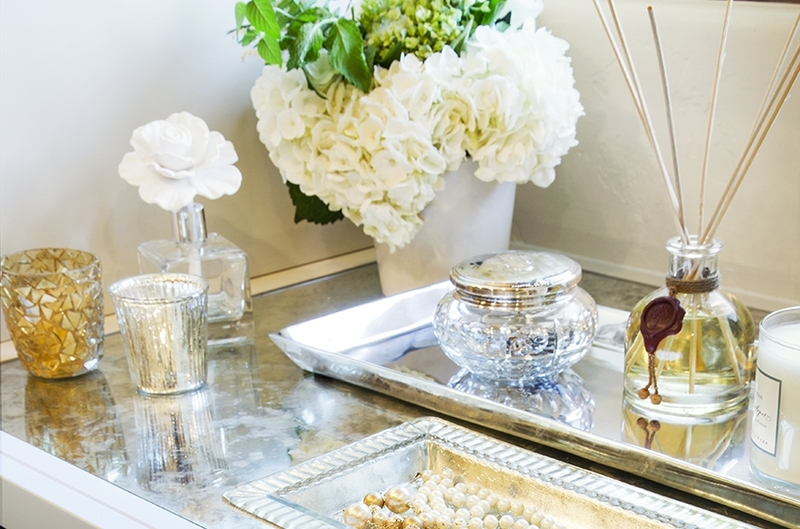 As a Virgo, you appreciate practicality and tidiness, and go to great lengths to ensure your spaces are always clean. *Closet necessity: Invest in a chic laundry hamper to keep your dirty laundry under wraps. I love the X-Frame from Simplehuman.Libra -- You appreciate an aesthetic that celebrates balance and synergy in your spaces and decorate to ensure there’s always a sense of harmony. *Closet necessity: Three words: slimline velvet hangers. Nothing will please you more than when you look at your closet and see your clothes dangling from uniform hangers. As a Scorpio you value privacy and your home is your secluded refuge. You like to conceal some of your most secret possessions. *Closet necessity: Lingerie sachets may seem antiquated, but they’re one of life’s small indulgences. Give ‘em a try. Your secret’s safe with me. You’re a visionary who is always thinking about what’s next and have strong visual-spacial skills. Though you tend to collect treasures and tokens from various travels and experiences, you understand how to work them into your spaces without creating clutter. *Closet necessity: I suggest clear acrylic shelf dividers. Whether you use them to separate handbags or sweaters, or to neatly sort items you want to put on display, they blend seamlessly within a space and are quite durable. You enjoy tradition and you like your spaces to reflect that with items like family antiques and sentimental artifacts. *Closet necessity: If you’re someone who holds onto old letters you sent your high school best friend, photos of ex-boyfriends and ticket stubs from your favorite concerts, you need a stylish place to put it all. The LA Leather Box is large, but unobtrusive and won’t affect your space’s aesthetic. You’re a rule breaker and that’s often showcased through eclectic interiors. You aren’t afraid to mix patterns and prints or do something unexpected or unorthodox. *Closet necessity: Replace your closet door with a cheerful curtain or piece of textured fabric to satisfy your whimsical design desires. With an affinity for soothing environments, enjoy a space that caters to all your senses!